Okay, so we did a thing. 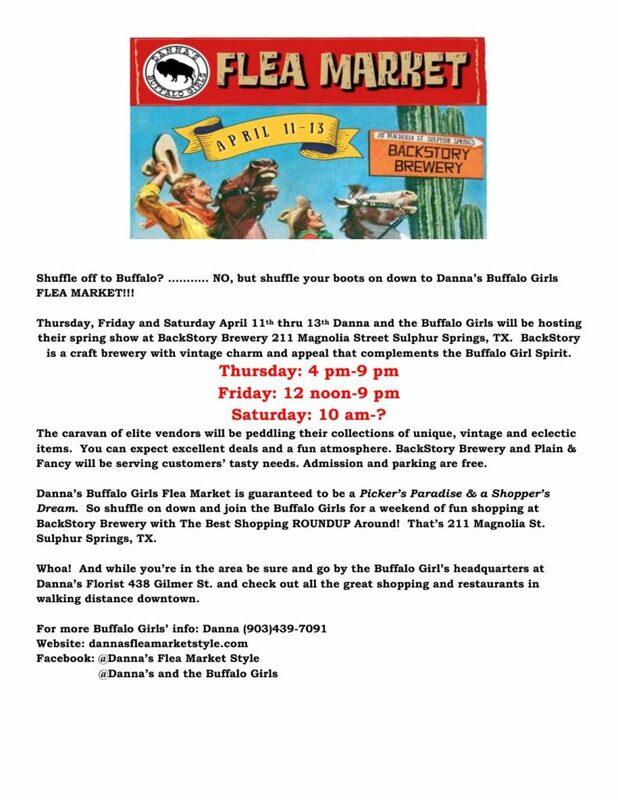 THE BUFFALO GIRLS ARE BACK APRIL 12TH, 13TH, & 14TH IN 2018!! We are currently building our unique tribe of handpicked, elite vendors which will ensure the best shopping experience for our customers. Applications for new vendors are now being accepted for the April show and we can’t wait to see what awesome people we can bring together! This show will be held in our sweet town of Sulphur Springs at the Hopkins County Civic Center. We can’t spill all the details just yet but just know it will SO be worth the wait! Follow our Facebook page for updates over the next few months. Start planning your FuN FiLLeD weekend now, as this event will be here before you know it. We can’t wait to see you all in April! Stand your ground. Have a tough hide. Keep moving on. Cherish wide open spaces. Have a strong spirit. Roam wild and free. And last but not least, LET THE CHIPS FALL WHERE THEY MAY!